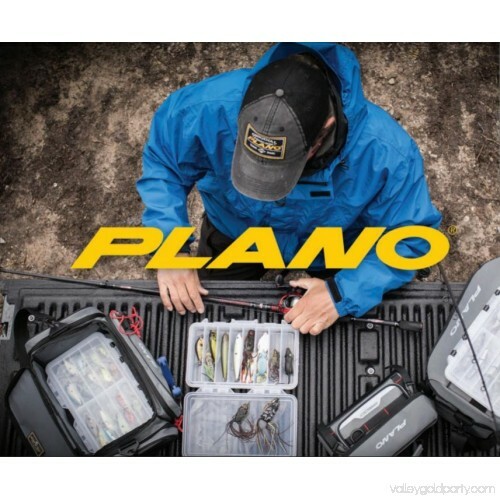 With Planos Fishing Angled Tackle System, Tackle Box 3600 main compartment utility boxes at a 15-degree angle for easy access will create a whole new experience for you when youre out on the water. 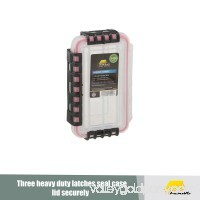 DuraView covers and doors allows you to see your lures through the transparent casing, while also providing extreme durability. 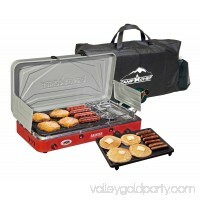 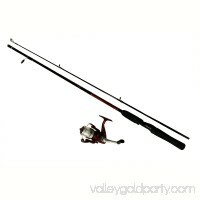 Eliminate the worry of having an unreliable tackle box with the Plano Fishing Angled Tackle System, Tackle Box 3600. 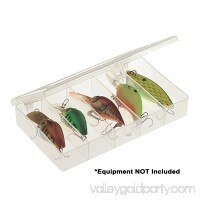 The bulk storage under the lid will hold bags of lures as well as the bigger lures. 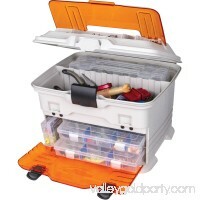 Plano Fishing Angled Tackle System, Tackle Box 3600 has sturdy latches and a reinforced carry handle will reinsure you that you will never have an accidental opening again. 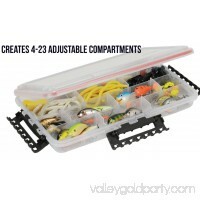 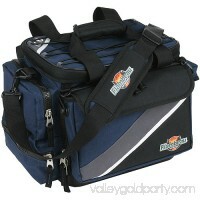 This is the ideal tackle system to keep your organized and ready to tackle the waters. 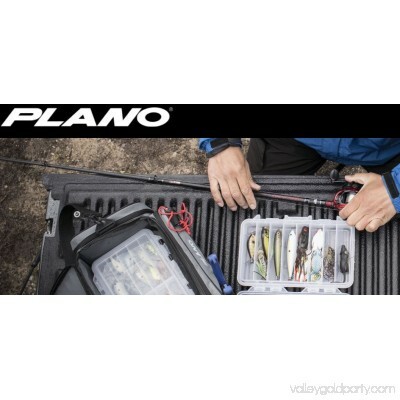 Stay secure, accessible and reliable with Plano Fishing Angled Tackle System, Tackle Box 3600 on your next fishing trip. 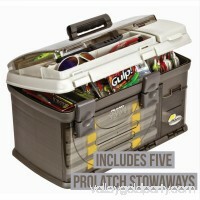 The Plano StowAway System, 728, can help you organize your fishing gear. This tackle storage system has three 2-3650 StowAway utility boxes for keeping your tackle organized yet portable. 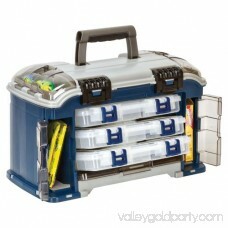 These boxes are stored in the main compartment for easy access. 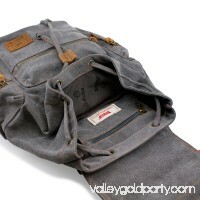 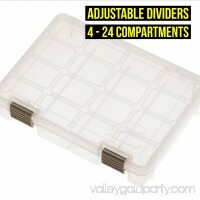 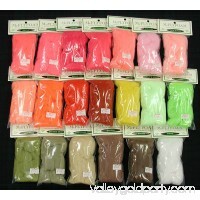 Remove one and take it along without needing the entire tackle box. 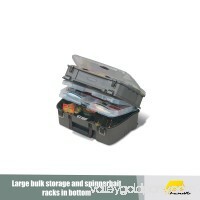 The side and top compartments of the 15-degree angled tackle storage system are large enough to hold other supplies such as hooks, fishing line and floaters. 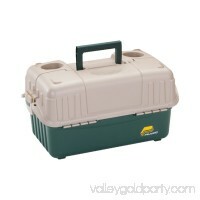 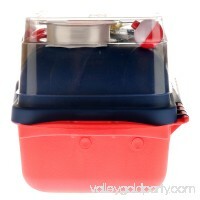 The DuraView covers and doors on the Plano utility box also allow you to see what's in the box and where it is stored.